A voice to be reckoned with - Leanne Robinson releases her second EP ‘Exhibit B’. 2013 saw Robinson releasing songs such as ‘Heavy’ and ‘Not Your Love’ - tasters of what was still yet to come for her fans in 2014. 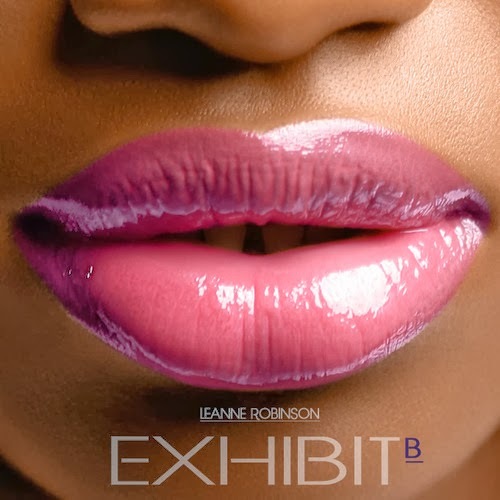 Giving us a full-length project ‘Exhibit B’ is the follow-up from Robinson's previous project ‘Exhibit A’. Songs that we're already familiar with ‘Heavy’ and ‘Not Your Love’ are also on the EP, including three new unheard tracks ‘Shooting Star’, ‘MJ Said (They Don't Really Care About Us)’ and ‘Broken Wings’. Leanne Robinson has an amazing voice, and ‘Exhibit B’ has been in rotation since it's release - if you're not familiar with his voice, get familiar - the music industry has gained a new star, straight out of London. Take a listen to ‘Exhibit B’ below! Trust me - as a lover of good music, you will not be disappointed.